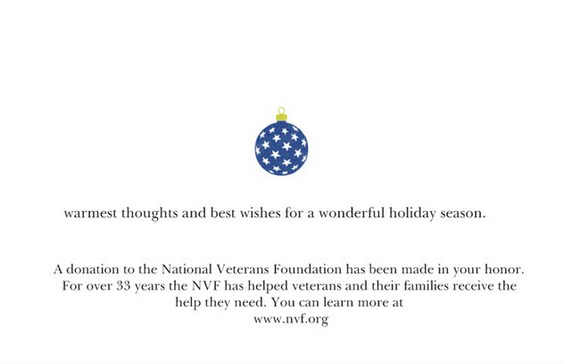 National Veterans Foundation Holiday Gift Cards - National Veterans Foundation | CommitChange | We help organizations raise more money, more sustainably. 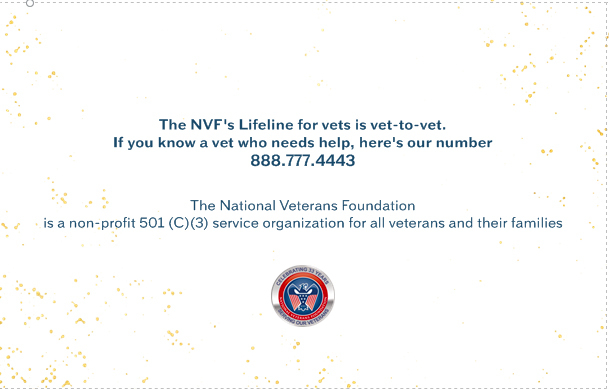 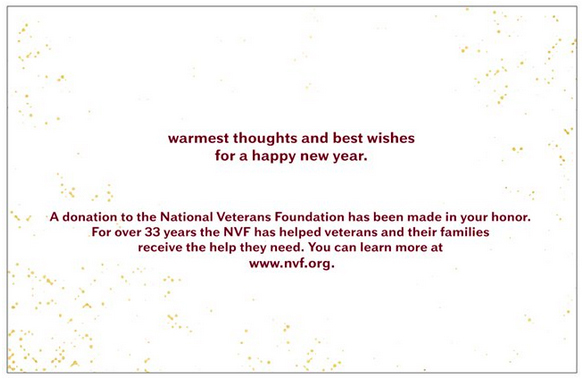 With a donation of $10 per card, you can send your family, friends and loved ones an NVF holiday card letting them know that a donation to the National Veterans Foundation has been made in their name. 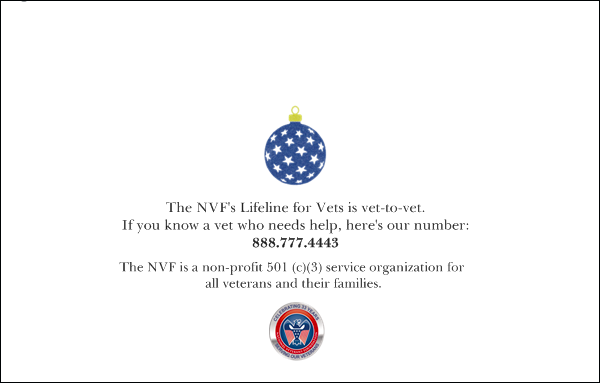 Your generous, tax-deductible gift will help Veterans and their families receive help and support during this holiday season. 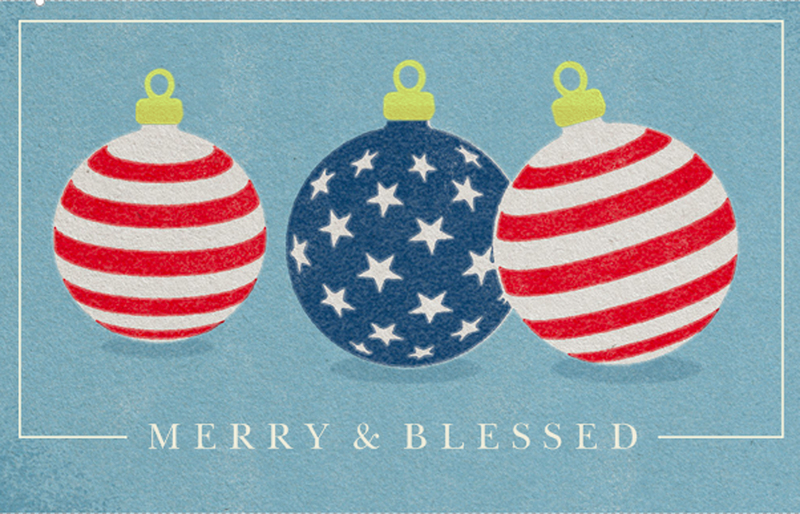 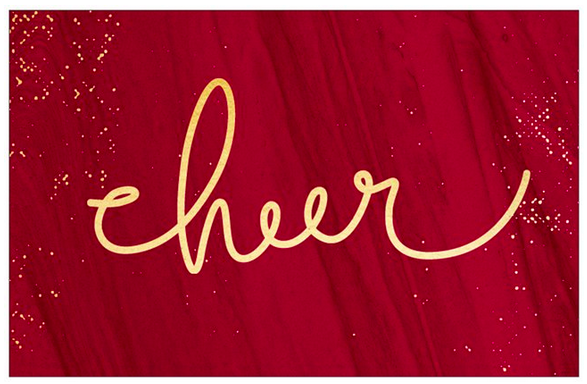 Choose "Merry & Blessed" or "Cheer" in dedication. 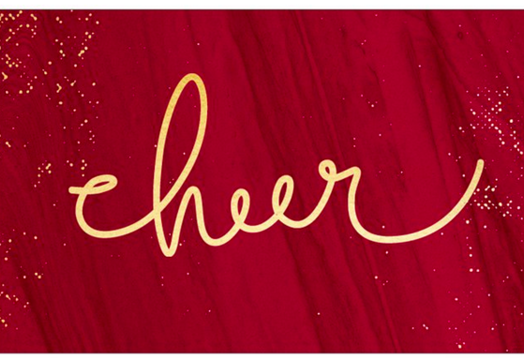 Cards will be shipped directly to you.